input, maximizing product output & optimizing project value. 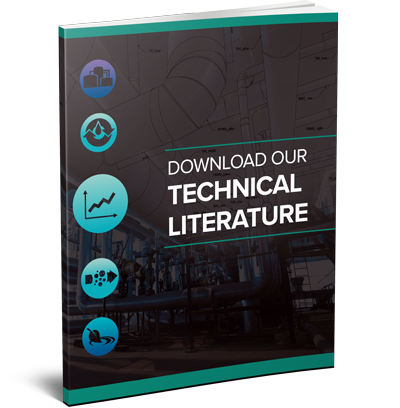 Thermal Kinetics is thorough in taking into account various design considerations for fuel ethanol plants, such as plant design criteria and functional specifications, as well as energy and safety needs for a properly-maintained plant. TK systems use less steam, which enables the plant to be more energy efficient, by reusing leftover steam to provide energy to the plant. 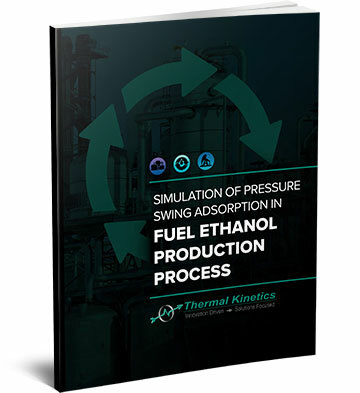 Thermal Kinetics has conducted exhaustive research and development into the performance, modeling and optimization of fuel ethanol dehydration (and other streams) using Pressure Vacuum Swing Adsorption (PVSA) on molecular sieves. 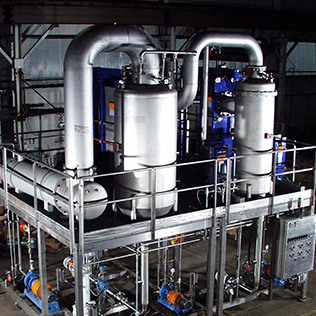 This equipment is used for the purification and drying of the process stream. 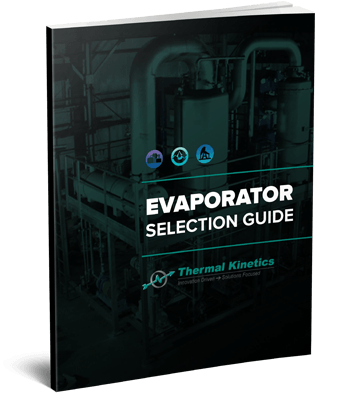 Thermal Kinetics offers a wide range of evaporator styles that are utilized in many industries. With a focus on energy conservation, we take your specifications and design a custom piece of equipment or system. This design will be robust and flexible enough to handle light duty to extreme process conditions, but still easy to operate and maintain for your production team. 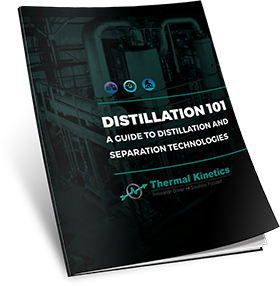 Distillation equipment is used for the separation/purification of chemical constituents in a process stream, and Thermal Kinetics offers several solutions that are customized for the specific requirements of each customer. Utilizing sophisticated software, and with years of technical experience, we can provide a single column or one that is integrated into a packaged system to meet any situation. Thermal Kinetics designs and manufactures industrial crystallizers, covering inorganic salts, precipitates and a wide range of industrial chemicals. Whether it is an evaporative or cooling crystallizer, this equipment produces products of very high purity by way of solid-liquid separation. Also offered for this equipment is pilot plant testing. 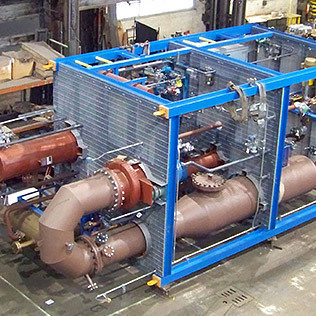 Thermal Kinetics offers fully integrated, specialty process equipment systems that includes initial development, detailed equipment design and supply, all the way to field start-up services. We utilize all types of materials of construction, from standard carbon steel and stainless steel, all the way to exotic lined systems (glass lined, PTFE, PVDF, etc.). Thermal Kinetics has the knowledge and experience to supply fully skidded, modular systems that are delivered to your site, ready for installation. We utilize sophisticated 3-D software modeling programs for precise equipment positioning on the skid and we coordinate all aspects of the project with your contractors so everything runs smoothly at the time of installation. 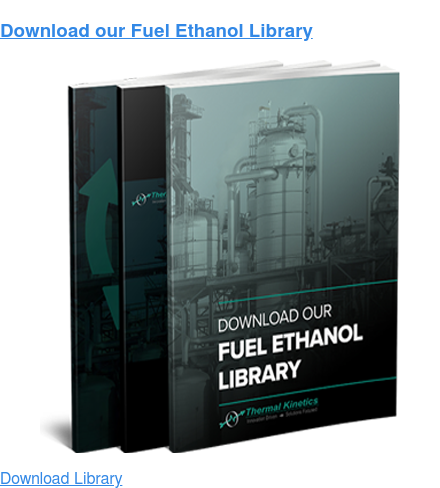 Recovering and purifying ethanol, other alcohols, fuel oil, fuel gas, chemicals from the diverse bio-economy industry which has emerged over the last 20 years. 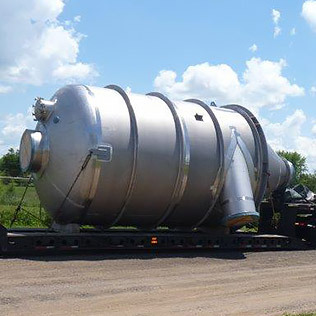 We supply evaporation systems for breweries, distilleries, fruit juice processing, specialty additives, sweetener processing, animal byproducts and many more. Sanitary modular systems custom designed. 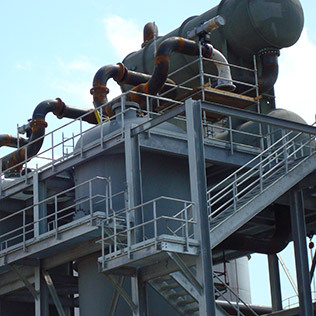 The process experts at Thermal Kinetics have designed and supplied systems for sodium sulfate production, caustic soda (NaOH), calcium chloride and other salts, a specialty concentration of cationic resins with novel foam control, as well as many more. 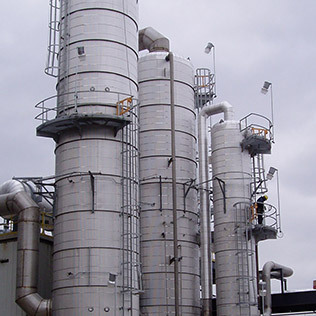 Heavy Oil scrubbers which clean exhaust air from aluminium rolling mills. Recovery of HCI from spent pickle liquors. Waste segregation and processing for zero discharge from metal finishing operations. 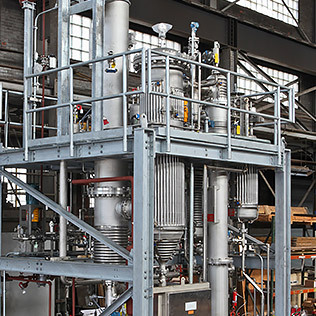 We assist in the development of innovative processes for chemical and polymer processors. 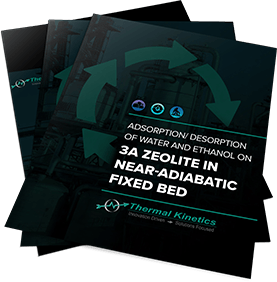 Thermal Kinetics has expertise working to provide modular, double effect caustic soda (NaOH) evaporators to providing modular sorbitol concentration skids. 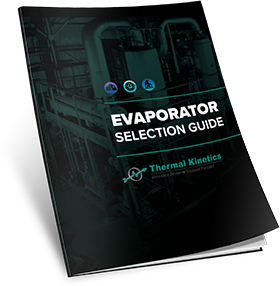 As a leader in fluid technologies and energy-saving processes, Thermal Kinetics can assist with food process applications. Within this industry, Thermal Kinetics has worked on solutions for breweries, distilleries, beverage, dairy, fats/oils processing, animal byproducts, and sweetener producers. Thermal Kinetics has demonstrated experience in the renewable fuels industry, serving our clients and furthering advanced solutions for energy independence. 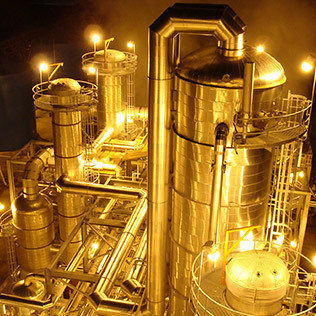 Ultimately creating successful operating facilities that are engineered, supplied, and commissioned as traditional or DD&E plants. For the metal processing industry, Thermal Kinetics offers emissions control systems for aluminum rolling mills, chemical recoveries and associated chemical services for steel processors, and recovery of chemicals and waste streams from manufacturing processes. Thermal Kinetics works within the pharmaceutical industry by providing a variety of process solutions. 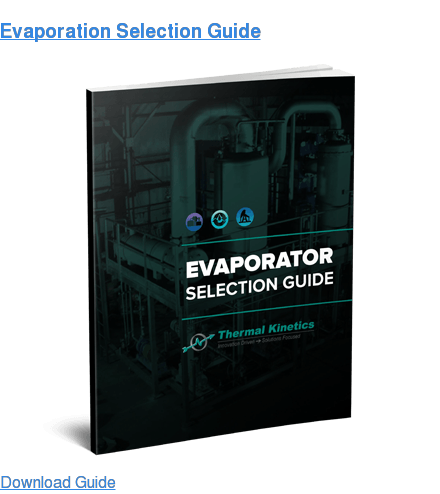 Some specific industry solutions include evaporator equipment, and draft tube crystallizer equipment. One of the critical components that enables our clients to gain every possible competitive advantage is the intellectual property (IP) we offer through our industrially proven patents. 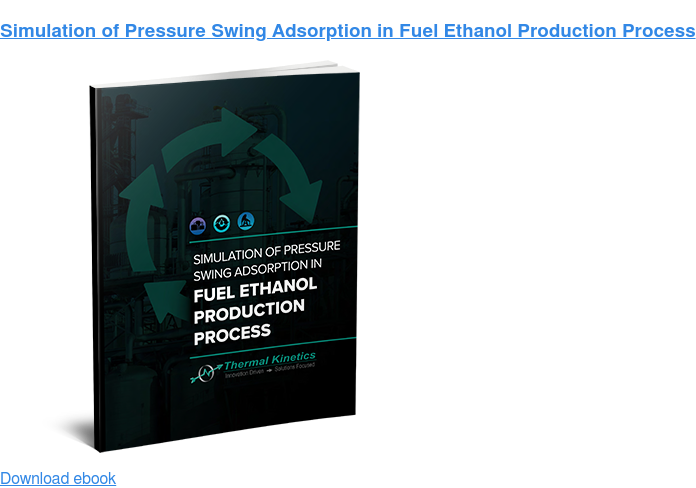 PSA is revolutionizing the Ethanol production process, requiring little energy input, with high purity product. Learn More!